Prior to his appointment as a Deputy Governor, Christian served as State Representative for the 26th House District and Executive Director of the Democratic Party of Illinois. Christian began his career as a community organizer, working with churches on the south side of Chicago. He went on to become a trusted advisor to reform-minded political leaders. He served as a Deputy Field Director on Attorney General Lisa Madigan’s re-election campaign, managed the city council race of former 4th Ward Alderman Will Burns, served as Director of Outreach and External Relations to Cook County Board President Toni Preckwinkle, and was the Midwest Paid Media and Polling Director for President Obama’s re-election campaign. Christian has consulted for State Assembly and Congressional races across the country, and was a Senior Advisor on Senator Tammy Duckworth’s successful 2016 campaign and Governor JB Pritzker’s successful 2018 campaign. Christian was elected as State Representative of Illinois’ 26th House District in 2012 and was sworn into office in January 2013. He was the youngest member of the 98th General Assembly. Christian was reelected to his seat in 2014, 2016, and 2018. As a legislator, Christian was a leader in the fight to reform our broken education funding formula. He worked diligently to pass the bill that increased resources for poor schools across the state by billions of dollars. In his capacity as Chairman of the Committee on Economic Opportunity, Christian fought to increase funding and access to our state colleges. Christian also worked tirelessly to reform our justice system: passing a law requiring background checks for private handgun sales, playing an important role in passing bills to reform the broken relationship between our communities and police, and leading the fight to decriminalize small amounts of marijuana. He is a vocal advocate for a woman’s right to choose and affordable healthcare for everyone. In July of 2018, Christian was named Executive Director of the Democratic Party of Illinois. He is the first African American to serve in the role. In his capacity as Executive Director, Christian worked closely with Democratic Party leadership to increase opportunities to elect Democrats up and down the ballot. Party initiatives included a $1 million voter registration program, a robust vote-by-mail program, and improved data sharing among campaigns to ensure that races, especially down-ballot races, can produce more sophisticated targeting and better coordinate their field operations. 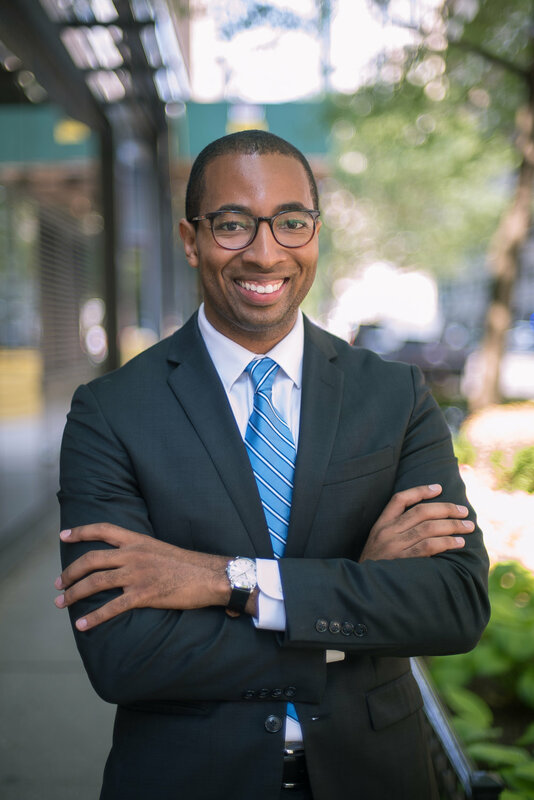 On December 20, 2018, J.B. Pritzker announced Christian would be a Deputy Governor in his administration. Christian resigned from the Illinois House on January 11, 2019, to assume the position. Christian graduated with honors from the University of Chicago with a B.A. in Public Policy Studies and is currently studying for his Juris Doctor at the Loyola University Chicago School of Law. He is a resident of Chicago’s Hyde Park neighborhood. Paid for by Friends of Christian Mitchell.